This is a get well card I made for the mother of one of my Bible class students. Stitching instructions for the embroidered scroll border are included with the pattern (see link below). I used several of my flower punches to make the bouquet. 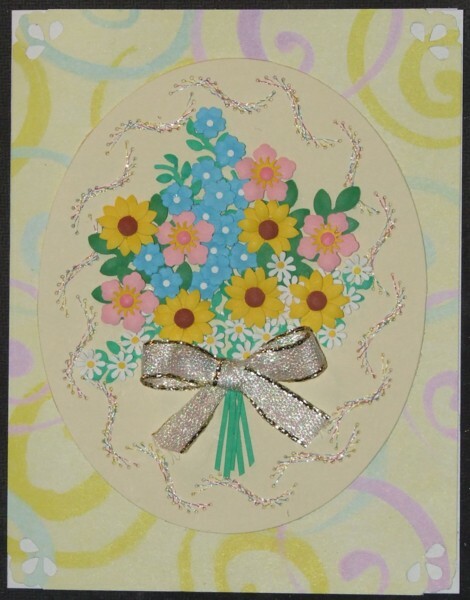 I used my embossing tool on the flowers to give them some dimension.